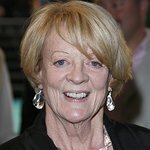 Dame Maggie Smith is an English actress known for roles on screen and the stage. She is a patron of the International Glaucoma Association. Google trends for "Maggie Smith"
We don't have any videos related to Maggie Smith.